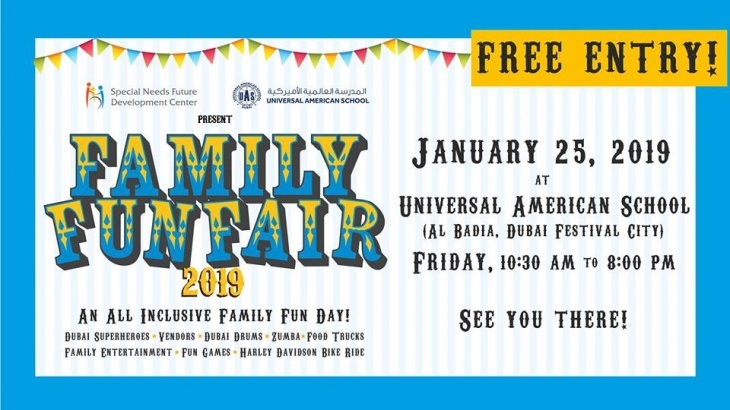 Special Needs Future Development Center and Universal American School invite you to an all inclusive Family Funfair! Come and spend your weekend for a special cause! Witness the showcase of talents of people of determination, get the chance to win exciting prizes, bargain for valuable goods, check out the best food trucks in town, and shop at various exhibitors’ stalls.